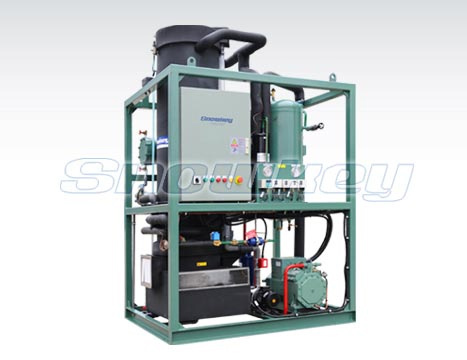 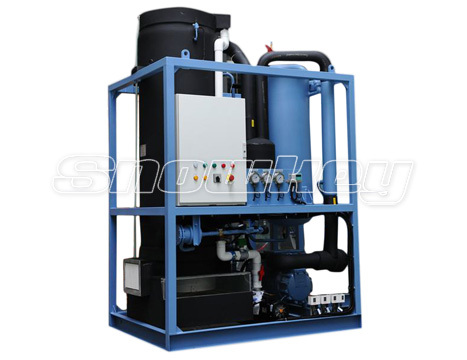 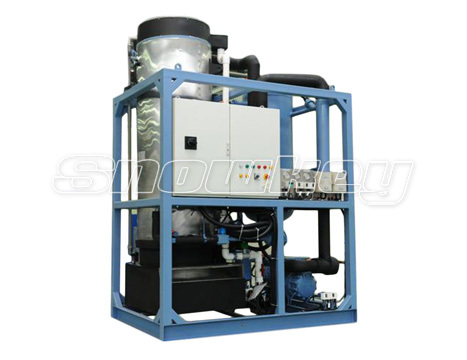 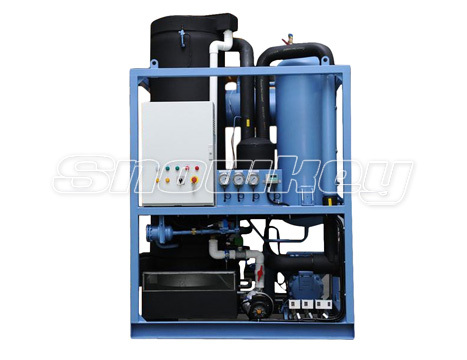 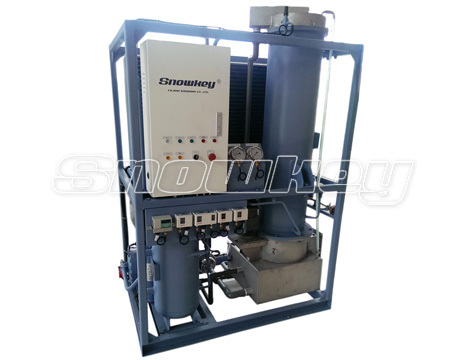 Snowkey’s tube ice machines filter salts and impurities during their harvest cycle. 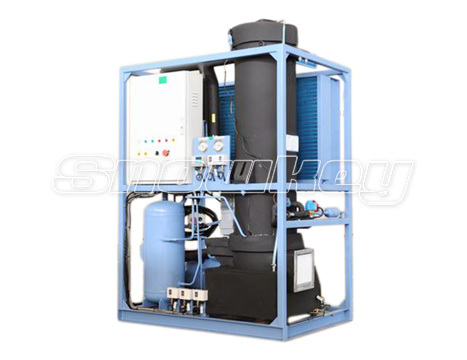 These impurities are discharged as waste at the end of a cycle, and fresh water fills the reservoir to begin the process again. 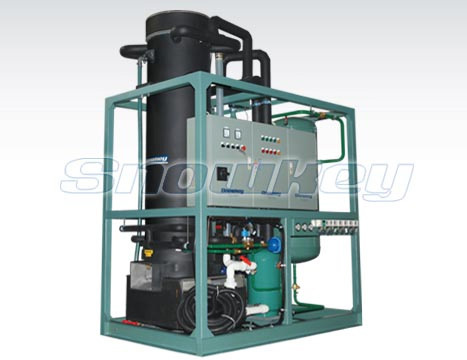 This produces a hard, powderless hollow tube ice that is transparent, sanitary and environmentally friendly. 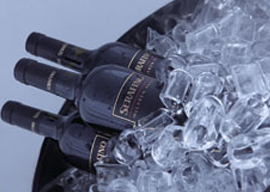 The clear texture of tube ice means it is often referred to as “cocktail” or “party ice”. 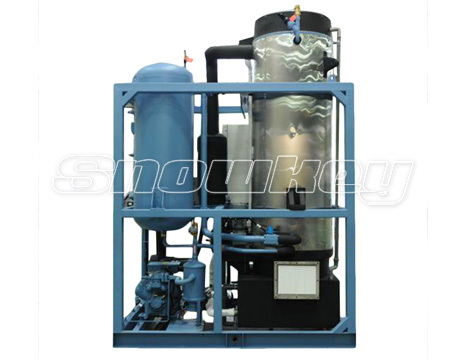 Water is circulated from a reservoir over the inner surface of the stainless steel tube. 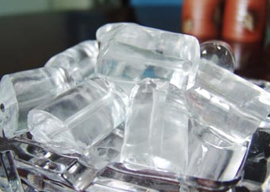 Ice is formed by a refrigerant being applied to the outside of the tube. 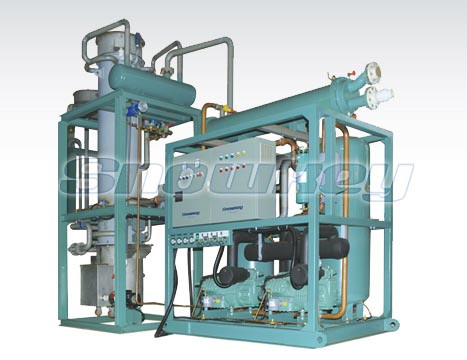 When your desired thickness is achieved, a hot gas will be introduced, which releases the ice. 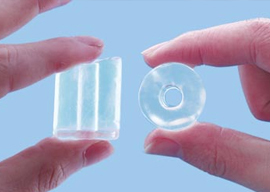 This drops into a rotating blade, which cuts your ice and discharges into a storage container for use. 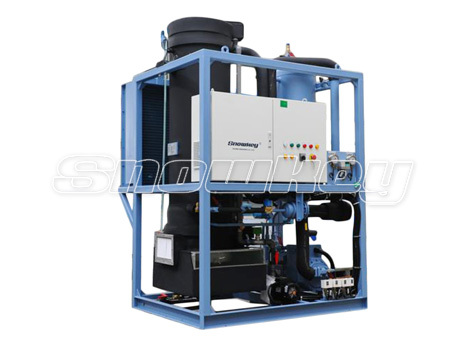 Stable even in extreme temperatures; reliable operation from 5°C to 40°C. 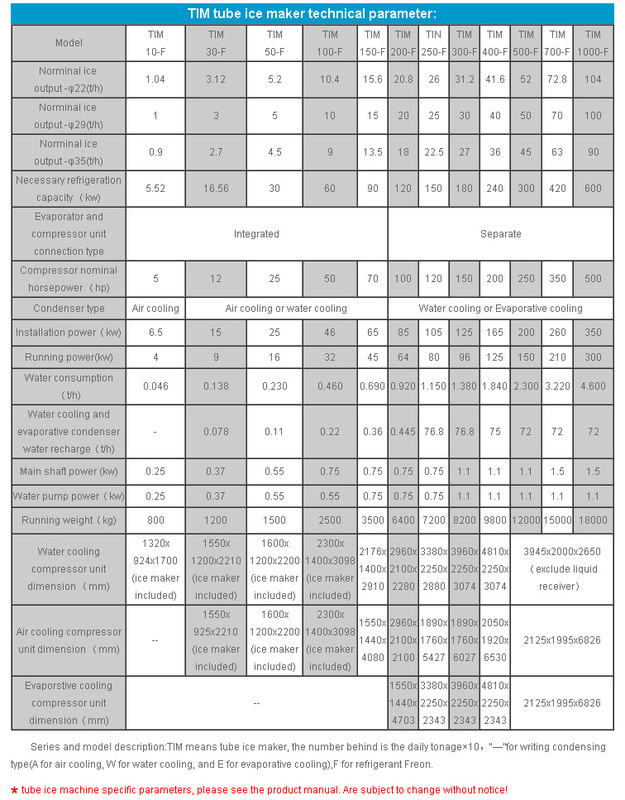 Custom variants can enable operation between -5°C and 56°C. 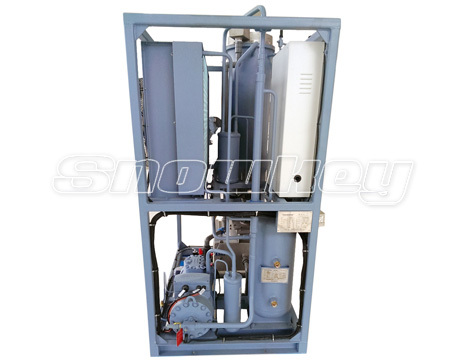 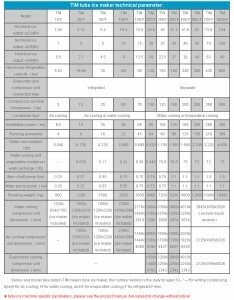 All parts contacting water are made of stainless steel SUS304 or SUS316L and PE material. 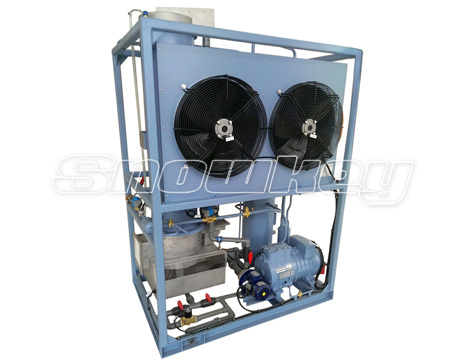 Compact in structure, utilizing a small footprint with low production cost, high refrigeration effect and low energy consumption. 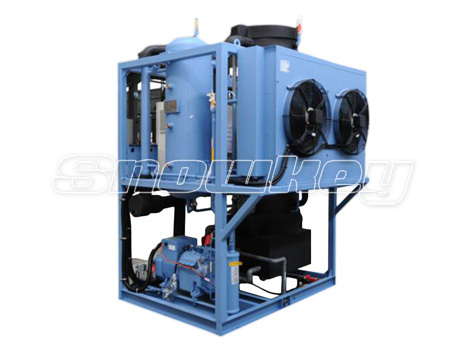 Modular construction for ease of transportation and maintenance. 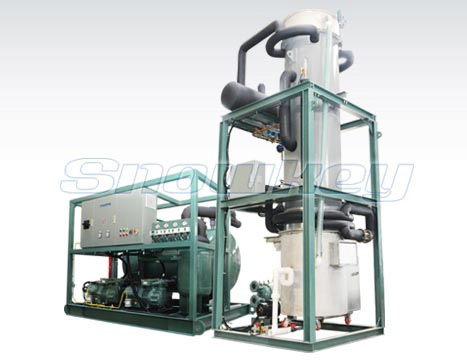 Several units can be installed in parallel with central controls.